were serving on the USAT Dorchester during World War II. went down. 672 of 902 men died. 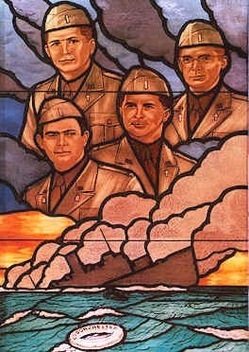 All of the chaplains held the rank of lieutenant. The Episcopal Church has designated February 3 a liturgical memorial for these chaplains.